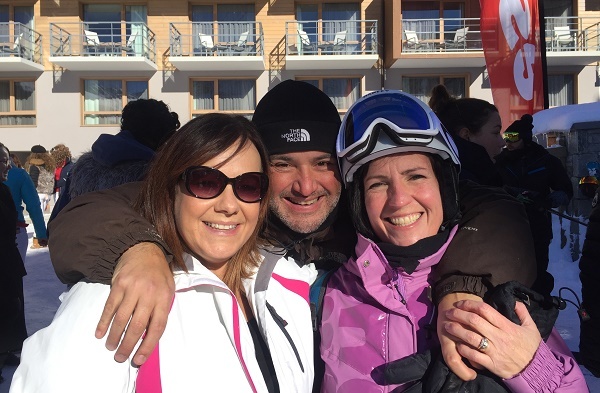 Vicky Bell, Assistant Manager of our Norwich travel agents in store at Jarrolds, took a pre-Christmas ski trip with Club Med. 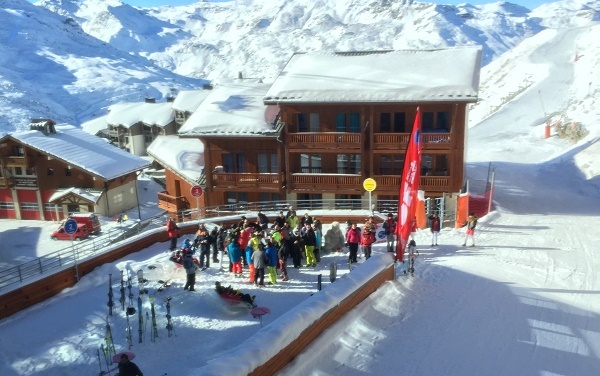 Here’s why she would recommend Val Thorens to both beginners and experienced skiers. The flight to Geneva was just under two hours and was on time. However, upon boarding, there was a problem with something on the plane which meant they had to get a new aircraft. This only took about 45 minutes to do, so I thought Easyjet handled the situation very efficiently. It did mean that we were about an hour late landing but the staff onboard Easyjet made up for it with their friendly nature. It took just over two and a half hours to transfer by bus to our hotel high up in the mountains. Upon arrival, we were greeted by the manager and the concierge, who took our bags and handed out warm drinks. The hotel is very bright and modern with floor-to-ceiling windows on most floors that allow you to enjoy the spectacular views of the mountains. Club Med Val Thorens is a very large complex split into two areas, with the accommodation on one side and the restaurants, public areas, lounge and bar on the other. I stayed in a deluxe standard room, which had a balcony overlooking the mountains and the ski-out section of the hotel so you could watch the skiers come and go. The rooms are very large, with king size beds, and are brightly decorated with big bathrooms. The hotel has two large restaurants - an a la carte one and a buffet for breakfast, lunch and dinner. We ate in the buffet all of the time except for one dinner. The buffet was really nicely presented and full at all times with lots of choices to suit all tastes and diets. The dinner in the a la carte restaurant was a bit hit and miss. The service was very slow and anything you asked seemed like too much trouble. The vegetarian options were very limited and it took four attempts from the waiter to discuss with the chef what to offer me as there was only one vegetarian option compared to 10 meat options. The wine waiter was exceptional and very knowledgeable though. He presented lots of different wines to accompany different courses. The hotel is a ski-in-ski-out resort. This means you do not have to catch a bus or a chair lift to get to the slopes and is therefore much easier. 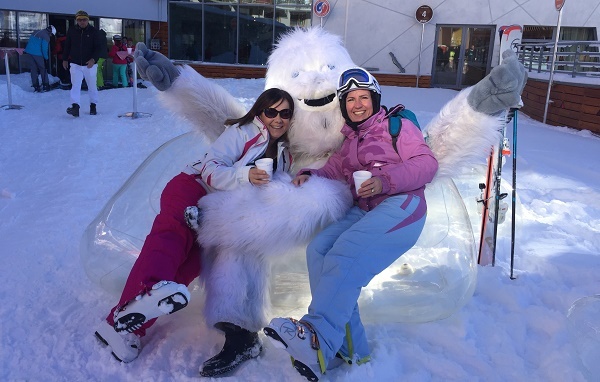 At the end of the morning ski session, the hotel has an outdoor bar and canapés area with a disco which is great fun. The lounge/bar area in the hotel is open for most of the day and into the early hours and is the hub of the hotel. Being all-inclusive, there is a wide range of alcohol and soft drinks available at all hours. Being an all-inclusive resort, all meals and drinks are included. Also, all ski lessons, skis, boots, lift passes and helmets are included. This is really handy for a beginner as you won’t have wasted money buying everything if, for some reason, you can’t get the hang of skiing. Nothing - the trip was perfect in my opinion. It was a great group of people and it was great to learn something new. I would most definitely recommend this holiday destination. Club Med is great for families as they have excellent facilities. The slopes in Val Thorens are perfect for beginners, as are the instructors. For the experienced skiers, the higher up you go into the mountains the bigger and better the slopes are. The experienced skiers of our group absolutely loved this. The après ski was really good fun with Club Med. It's great to be all-inclusive, as you don't have to worry about what you're paying for which is good for groups of friends. Jan was an excellent group host and made everyone feel at ease no matter what ski experience they had. If you want to visit Val Thorens this ski season or you would like to discuss any of the other great destinations we have for ski holidays, call or drop by your nearest branch today. We have travel agents in Colchester, Norwich, Ipswich, Bury St. Edmunds, Felixstowe, Dorchester, Bournemouth, Christchurch, Lymington and Westbourne.